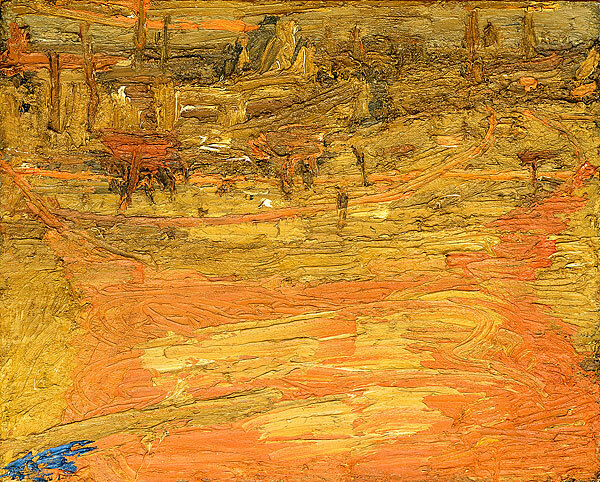 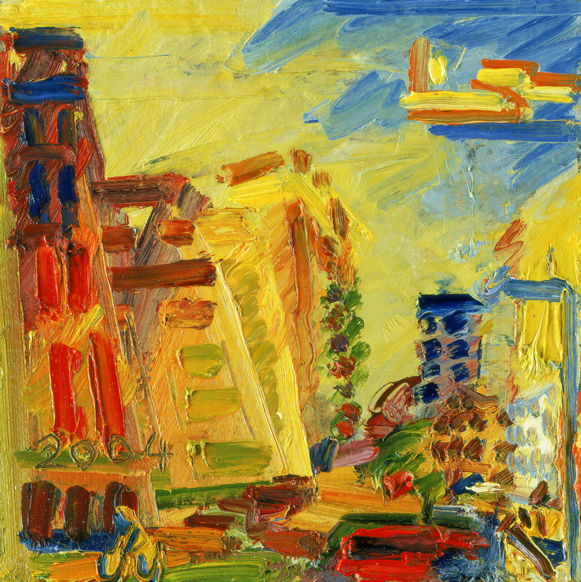 At the age of 8, in 1939, Auerbach’s Jewish parents sent him to school in Kent, England, to avoid the political situation in Germany (on the eve of the 2nd World War and after 6 years of the Nazi Party being in power). 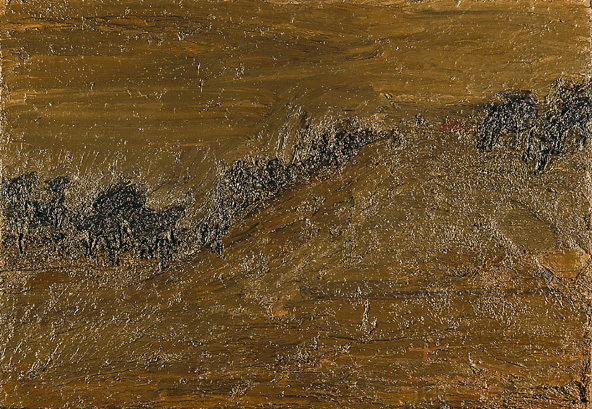 That was the last contact he had with his parents. 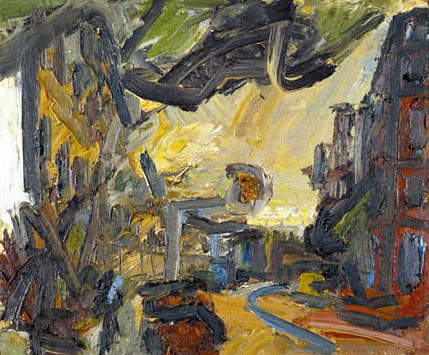 After the 2nd World War he acted in small parts in several London theatres and in 1947 attended painting classes at the Hampstead Garden Suburb Institute . 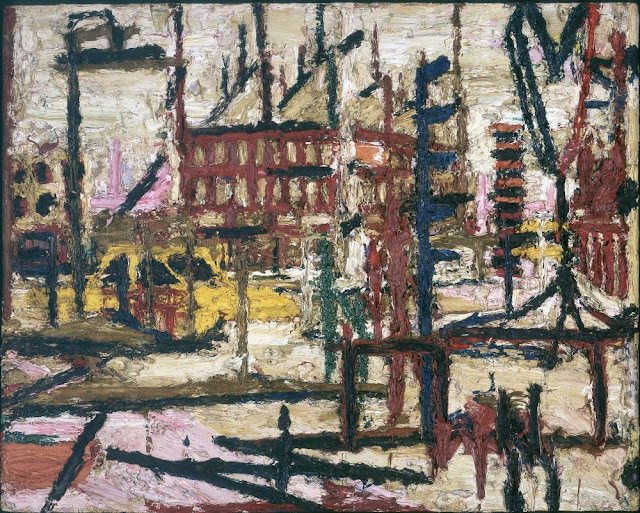 The following year he attended the Borough Polytechnic Institute before entering St. Martin’s School of Art, where he met Leon Kossoff and Phil Holmes. 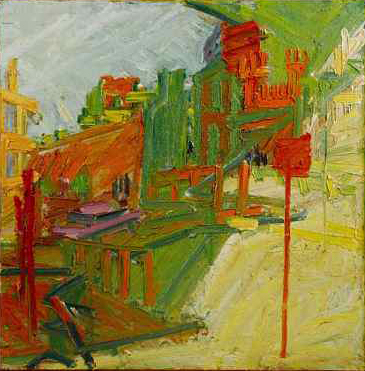 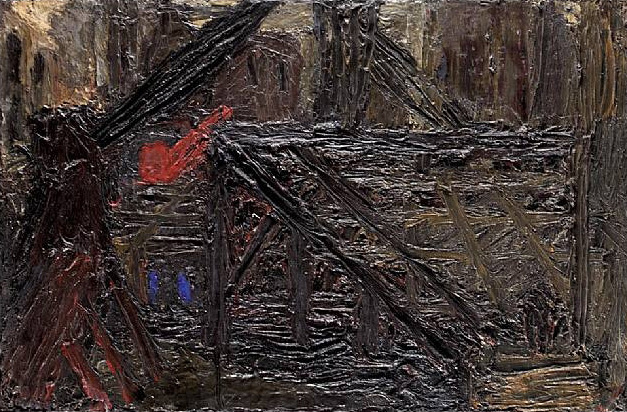 In 1952 Auerbach studied at the Royal College of Art with Joe Tilson, Bridget Riley and Leon Kossoff after being judged unfit for military service. 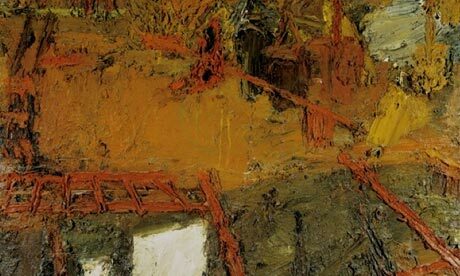 In 1954 he acquired Gustav Metzger’s former studio in Camden, London. 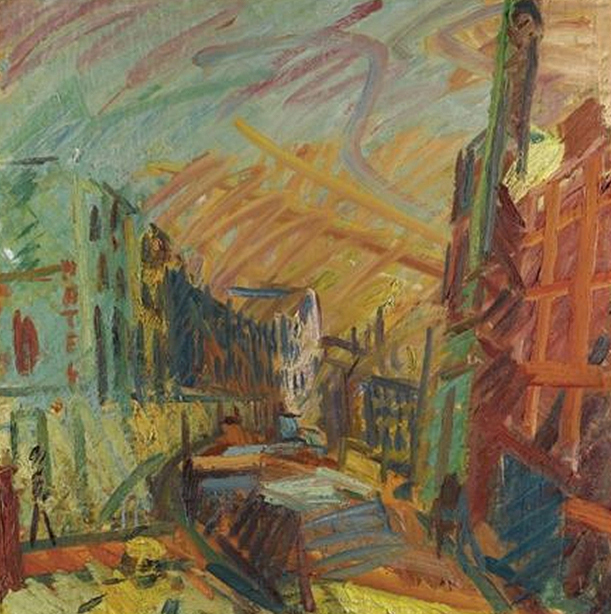 He continued participating in David Bomberg’s drawing classes at the Borough throughout 1954. 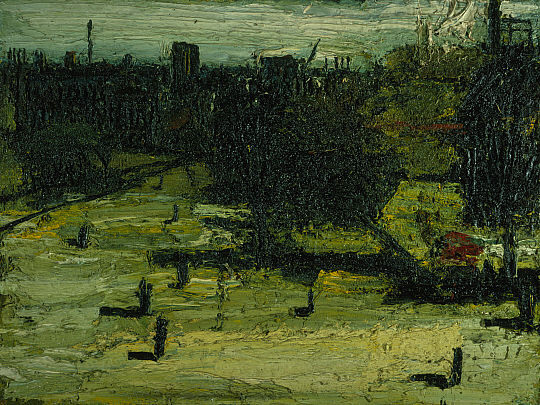 The following year he left the Royal College with a silver medal and first-class honors. 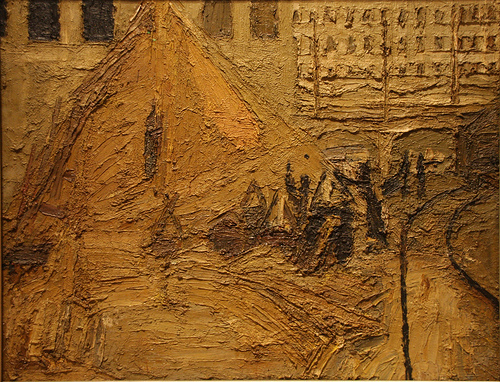 1956 saw his first one-man show at the Beaux Arts Gallery, London. 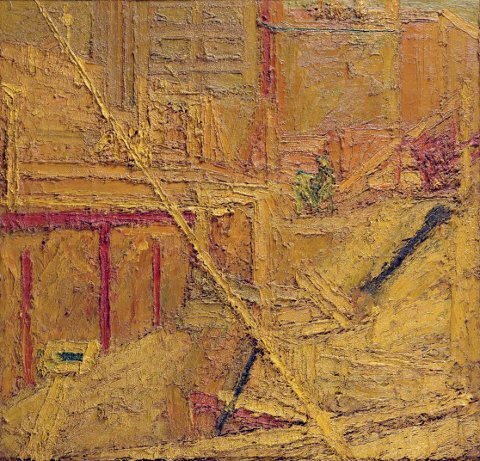 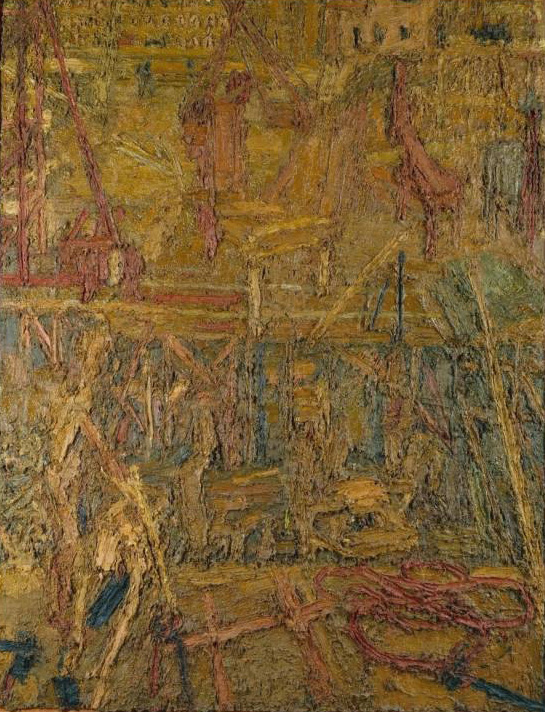 He was criticised for his thick application of paint, but found support from the critic David Sylvester, who wrote of “the most exciting and impressive first one-man show by an English painter since Francis Bacon in 1949.” Around this time he began painting a series of building sites. 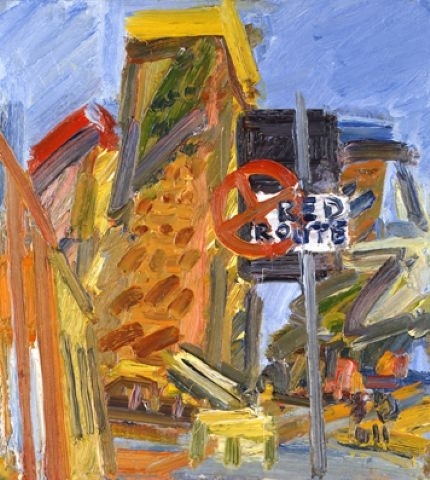 In 1966 he began a series focused on Camden Palace Theatre. 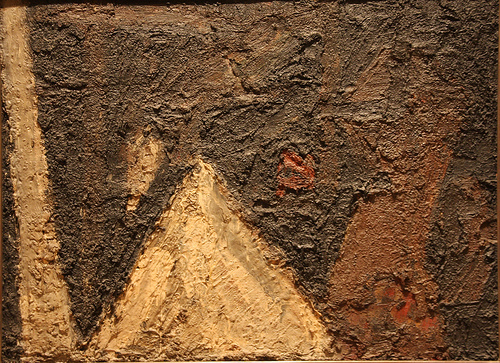 1978 saw his first retrospective at the Hayward Gallery, London. 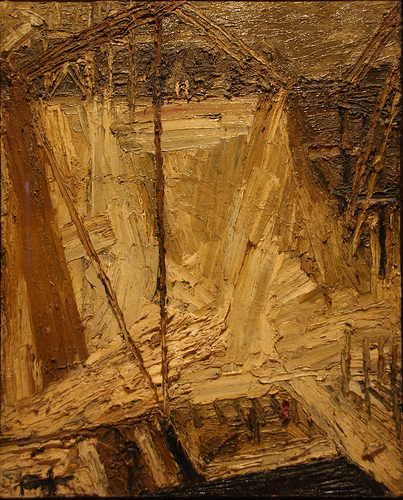 In 1981 his work was shown at the New Spirit in Painting exhibition at the Royal Academy, London. 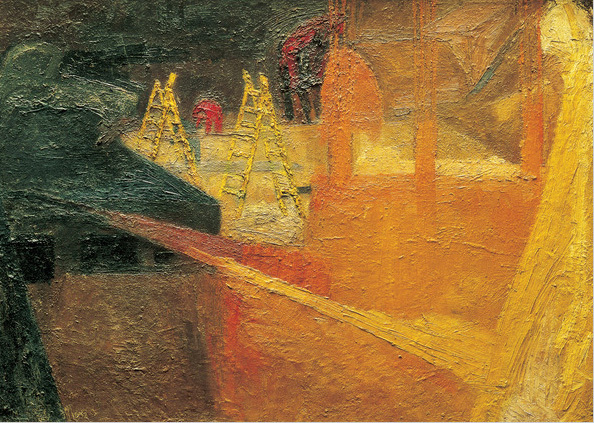 Five years later, he was chosen for the British Pavilion at the XLII Venice Biennale. 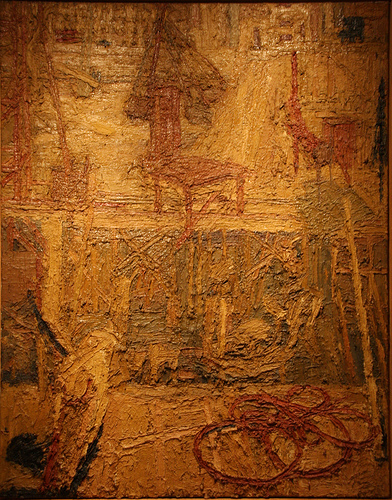 He won the Golden Lion Prize with Sigmar Polke. 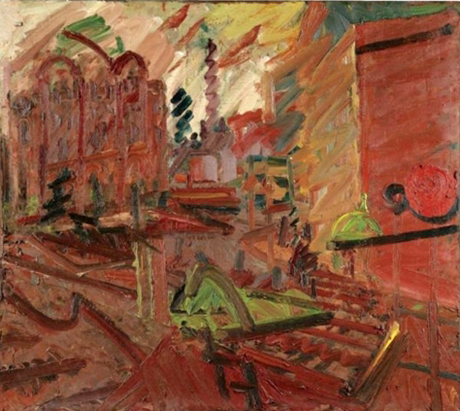 In 1995, the National Gallery exhibition Working After the Masters focused on Auerbach's studies of works in the gallery over a thirty-year period. 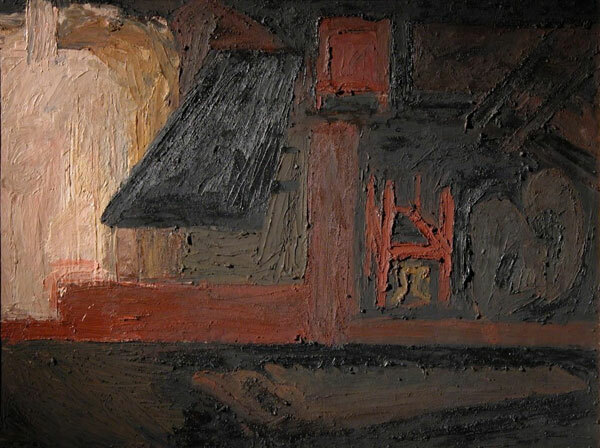 In 2000 the artists of CORNER Udstillingen invited him to be a guest artist at their annual exhibition in Copenhagen. 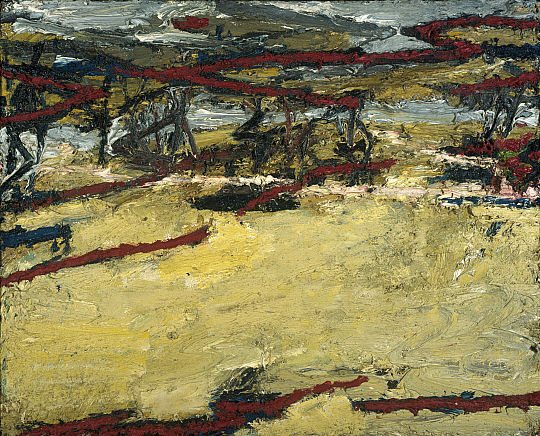 In 2001, and to mark the artist's 71st year, the Royal Academy held a retrospective exhibition of his work.